Stress & exercise can lead to the sensitive lining of your horse's stomach (the mucosa), being affected by the acidity of the stomach. This may affect the horse's capacity to absorb food, their performance & overall quality of life. 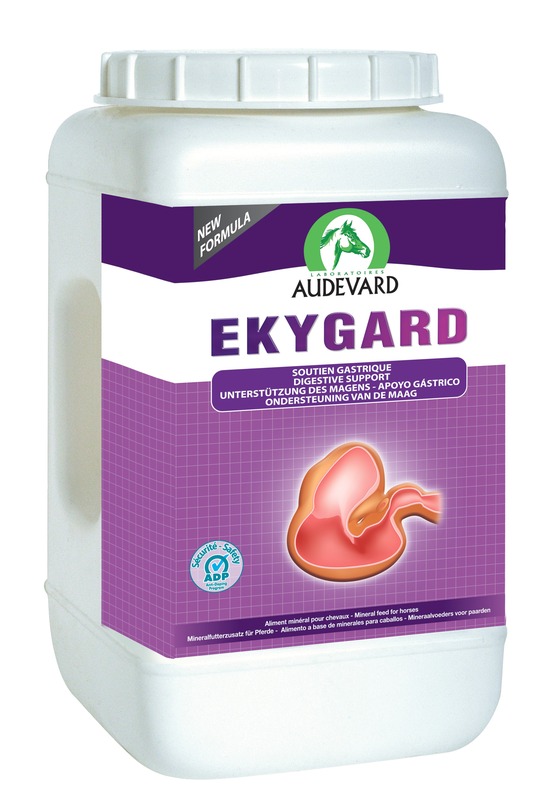 Ekygard has been formulated to care for your horse's stomach. It contains a number of ingredients (pectin, lecithin, alginate, psyllium & bentonite clay), which act to protect the stomach wall. Lithothamnion is also in Ekygard & it has natural acid-buffering properties, as well as being rich in trace-elements, such as iodine, copper, iron, manganese, cobalt & zinc. Yea Sacc 1026, a probiotic, has been shown in studies to significantly increase the levels of "good" bacteria in a horses stomach microflors, whilst decreasing the levels of "bad" bacteria. Prebiotics, aloe vera & Althea officialis, are also beneficial for overall stomach health. Fenugreek, is also added, which improves appetite in horses.